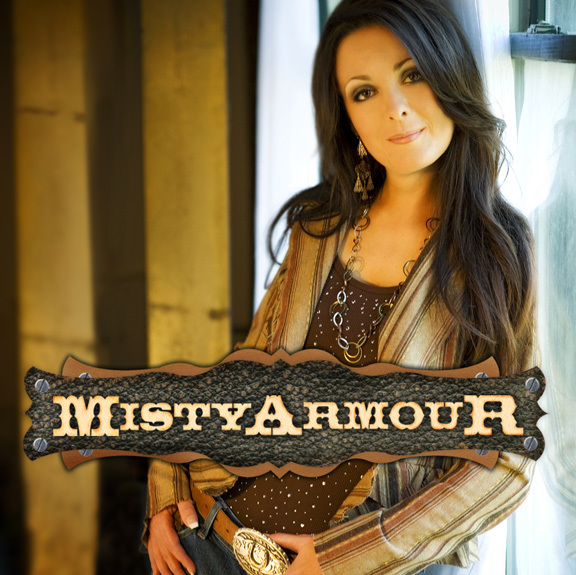 Misty Armour grew up a trucker’s daughter. “Up in that big rig with my dad, I didn’t have a care in the world. There was nothing better than being on the open road, watching farmers in the fields, and being where everybody knew each other and helped each other out. That was where the lyrics of my favorite songs came alive. We sang along with The Hag, Don Williams, Charlie Rich, Ronnie Milsap, Emmylou Harris, Crystal Gayle, and Barbara Mandrell. Those artists and those times built my inner musical landscape”. Misty and her sister Randi formed a country duo called “Sister Heartache,” and played the circuit of fairs, festivals, community events, horse shows, and rodeos throughout California. “My mom drove us all over the state! She always supported our dreams, and taught us to follow our hearts even when fear of the unknown was knocking. It’s finding your center between music and your personal life that will determine your success”. People often describe Misty’s voice using imagery rather than musical terms. Her biggest fans are her husband Chris, a Marine who served in Operation Iraqi Freedom and is now serving his community as a Fireman…and15 month old son Brody.